Get ready to raise a glass as Scotland’s biggest full-day whisky event comes to Paisley as part of The Spree Festival 2018. The National Whisky Festival (NWF) will take place at Paisley Town Hall on Saturday 13 October and will see two sessions of drams, masterclasses, food, whisky related arts, crafts and a fantastic programme of live music. The Spree festival is one of the highlights of Paisley’s annual cultural calendar and takes place in various venues around the town from 12 to 20 October. Colin Campbell, National Whisky Festival organiser, said: “The National Whisky Festival is a combined celebration of the best of Scottish culture and our national drink. 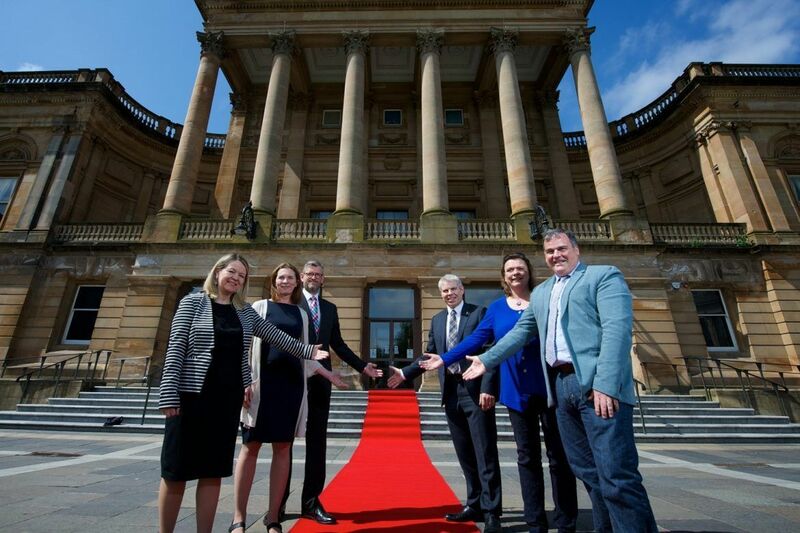 “The event at Paisley Town Hall will see a whole host of exhibitors and distilleries in attendance, each carefully considered to provide the most enjoyable experience of whisky tasting and entertainment on the day. Louisa Mahon, Head of Marketing, Communications and Events at Renfrewshire Council, said: “We are delighted to welcome the National Whisky Festival to Paisley as part of this year’s Spree Festival. “The Spree Festival is one of the highlights of Paisley’s annual cultural events calendar and has continued to go from strength to strength as it enters its seventh year. The inaugural National Whisky Festival took place at Glasgow’s SWG3 in January 2017 as part of the city’s Celtic Connections festival. Martha Reeves and the Vandellas will perform at a special Closing Gala show at Paisley Town Hall on Saturday 20 October alongside the London African Gospel Choir who will perform Paul Simon’s Graceland. Black Sabbath guitarist and rock music legend Tony Iommi will also appear at Paisley Town Hall on Friday 12 October for a special show giving music fans the inside story of his career – called ‘Tony Iommi in conversation with Phil Alexander: A Life in Music’. Other big-name acts coming to Paisley for this year’s Spree include The Orb, ex-Kraftwerk member Wolfgang Flür, Gang of Four, Aidan Moffat and RM Hubbert, Big Minds (made up of members of Big Country and Simple Minds), Vieux Farka Touré, The Wandering Hearts and more.